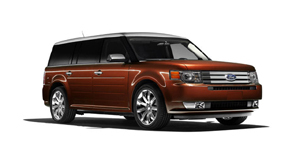 Powered by a V6 that optionally drives all wheels, the Ford Flex offers bold and stylish looks, composed handling, exceptional NVH, and a versatile interior. 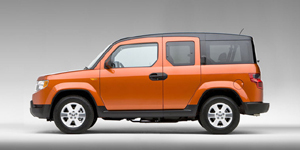 The Honda Element is a utility vehicle that's designed to maximize space and hauling options in a fairly small package, with driving characteristics similar to a small sedan. 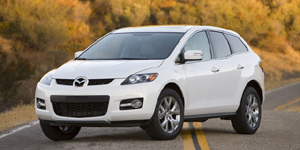 The Pontiac Vibe provides seating for five passengers and ample space for their luggage and comes powered by a choice of two 4-cylinder engines. All-wheel-drive is an option. With its boxy layout, the Scion xB offers ample space for five people and there luggage. Engine power, courtesy of a 2.4l 4-cyl., is adequate, the ride sporty, but wooden on the freeway. 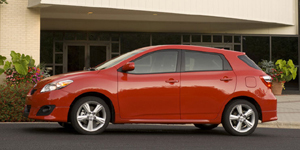 Based on the Toyota Corolla, the Matrix offers seating for five, a large trunk, a choice of 4-cylinder engines, optional all-wheel-drive, and good handling. 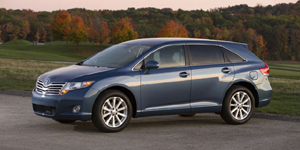 The Toyota Venza features 4- and 6-cylinder engines, seats five in a comfortable interior, offers good performance, and especially with all-wheel-drive handles well in slippery conditions.